Duplicate question because I cannot find the question previously asked under "my questions"
As jotform's mandrill is merging with MailChimp, I was informed that we need to have a paying account with MailChimp before our account is deactivated tomorrow. 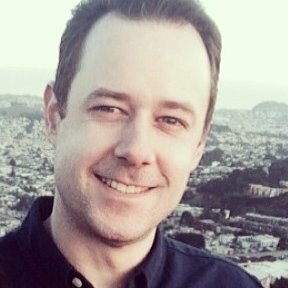 We currently only have a paid account through jotform. 1.) Does this mean customers will no longer be able to access our forms effective tomorrow if we do not also have a paying service through mailchimp? This would need to be done for all forms that are currently using Mandrill to send emails and the emails would then send from our end, instead of using Mandrill. David, this is super helpful and you've cleared up a lot of confusion. If the merger between MailChimp/Mandrill does not effect Jotforms, then no reason to combine submissions at this immediate time but this is certainly a helpful app to note. If I change the sender email to noreply@jotform.com as mentioned above and a customer submits a form, will they not be able to reply back to our individual email addresses? 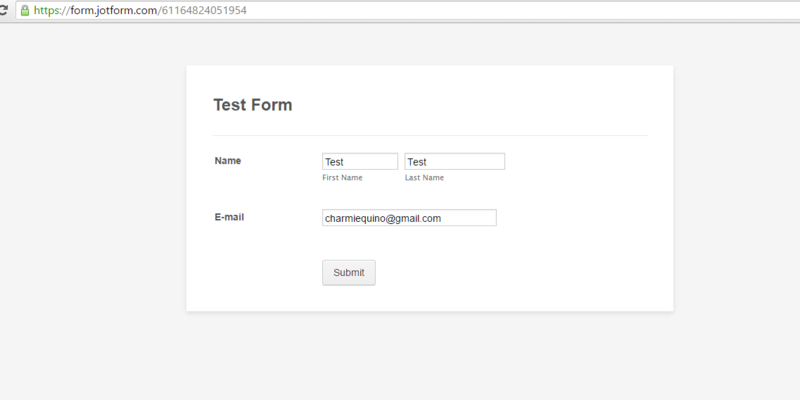 We currently have 3 forms active with 2 different email addresses. Please let us know! How does the form come to our website then? 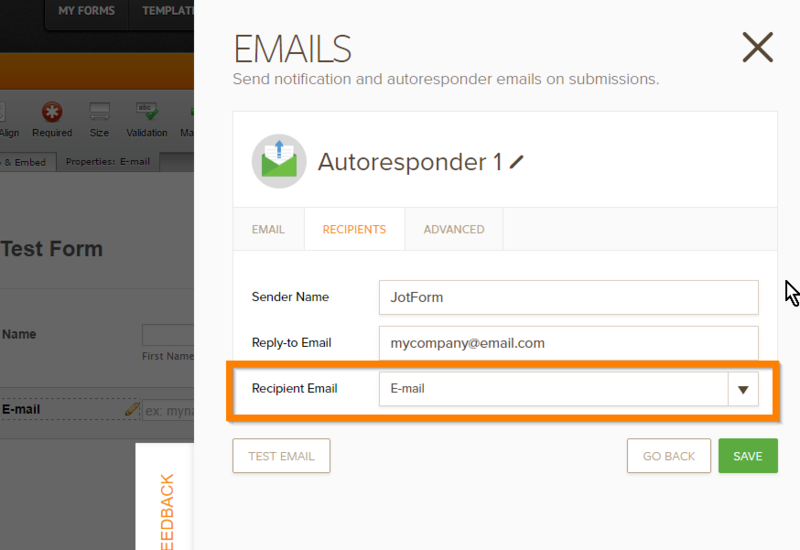 While editing your autoresponder, this option can be found under the "Recipients" tab. 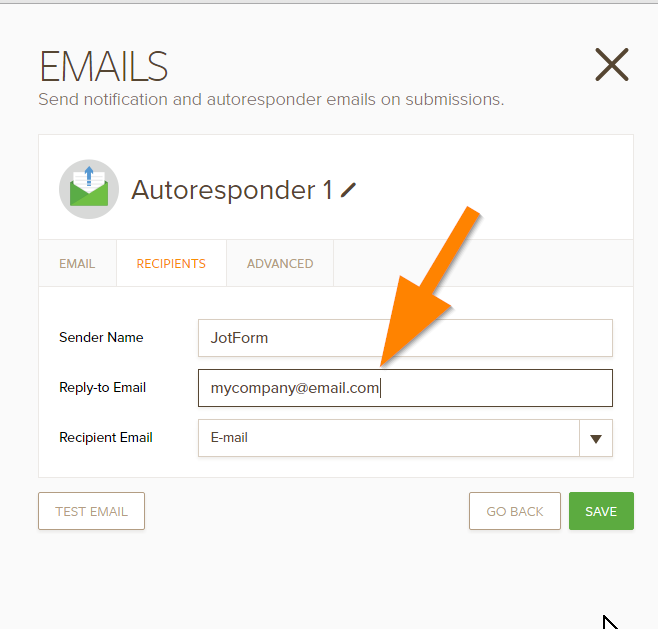 Though the sender email would be "noreply@jotform.com" if the user clicks "reply" on the email, the address their reply will be sent to will be the one entered in the "Reply-to Email" field. My question is if I change the Reply-To email to our email address, wouldn't that fall under "Mandrill/Mail Chimp" if it is not via Jotform, otherwise how will we get our responses? This form is currently available through our website and once a customer fills out the form, the submission comes to an oracle-based ticketing system where it assigns the submission with an incident number and from there we correspond with the customer. 1.) If I change everything to jotform from mandrill/mailchimp (which is fine), I want to make sure the responses come back to our email addresses. Is there a difference between recipient emails and reply-to email? 2.) If we change the email to jotform, can the customers still receive an automated email confirmation as per email Jotform on behalf "our email address"
Please note that there's two types of email alert on your form. One is the "Notification Email" and the other is the "Autoresponder Email". If you want to receive the notification emails on these addresses: permissions@lww.com, journalpermissions@lww.com. 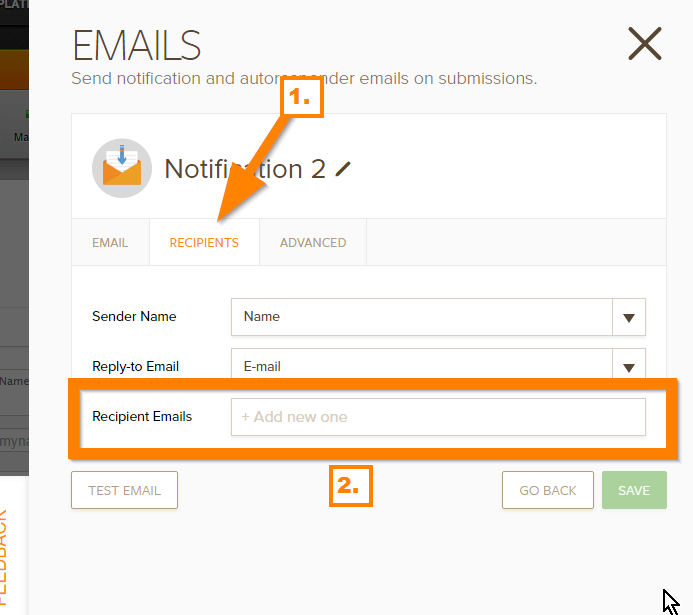 Then simply input them in your recipient address in the notification settings. When a new submission has been completed, the notification email will be triggered and will be sent to the addresses you set in the "Recipient Emails". The "Autoresponder Email" is used when you want to send an email alert based on the email address entered on an email field in your form. 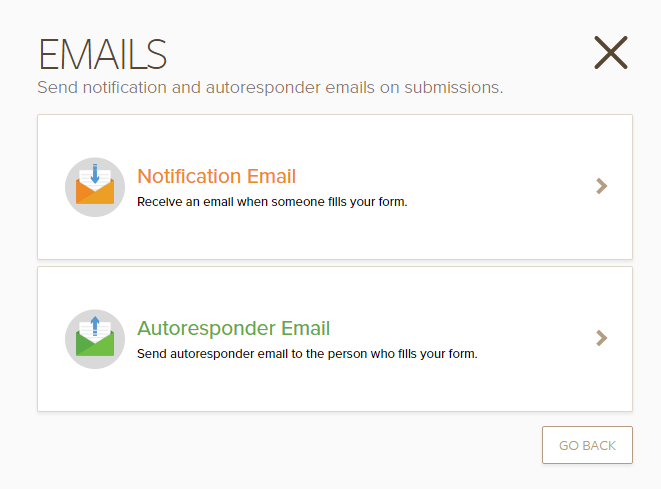 To learn more about it, you can check this guide: https://www.jotform.com/help/26-Creating-a-Form-Autoresponder. 2. I am the user and I fill out this form https://form.jotform.com/61164824051954. You can see in the email header that the "reply-to" is set to mycompany@email.com. So when the user (I) reply on this email, it will be sent to mycompany@email.com. If you click the "Reply" in your email client/software. 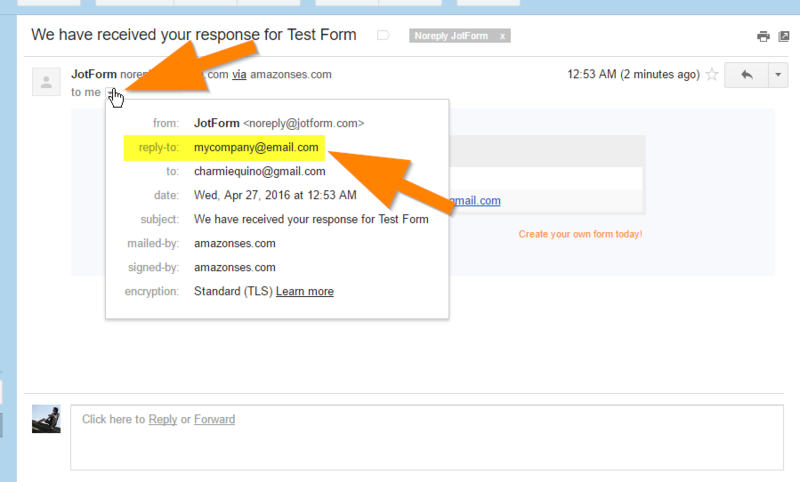 It automatically set the sender of my reply email to mycompany@email.com. The "Reply-to Email" option is also available in the "Notification Email", but in that one, you can map an email field. Why is that? Because notification emails are usually sent to YOU or to a different person who is involved in your organization or company, you want to reply to the person who filled out your form that is why it allows you to map form fields. 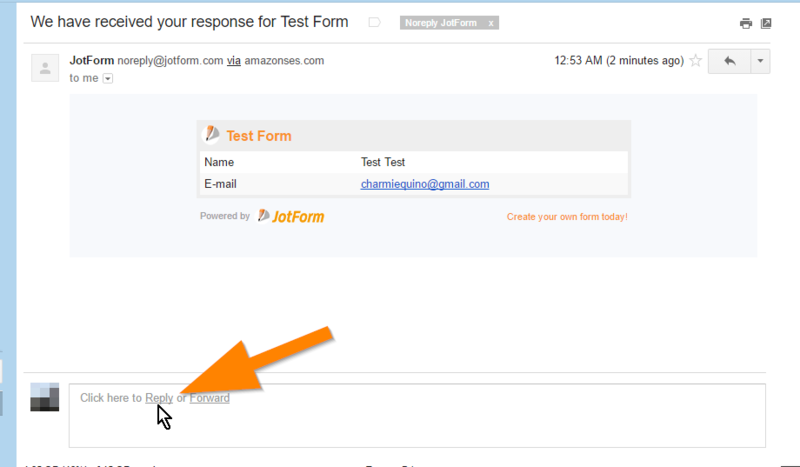 With regards to the last screenshot, you have incorrectly setup your recipient email to noreply@jotform.com. What you are trying to do with that is you are sending the notification email to us, which is not possible, that is why it says noreply@jotform.com. You will need to set the recipient emails with your OWN address to where you want to receive the notification. Please do check the guides mentioned to learn more about our email alerts. Thank you. My main objective is to ensure that I use JotForm and not mandrill for my notifications before tomorrow's deadline. What email do I put under the "Advanced" tab?